Wealth Management at its best. It's not just a retirement plan. Akers Financial Group reaches far beyond the typical life stages into the multiple facets that make up your retirement. With our vast industry experience we provide our clients with the expertise to ensure they are serving as a good steward of their retirement success. Come join our group! We invite you to be a part of our organization. Our highly qualified staff is willing to serve your financial needs. We truly value our relationship with our clients. As you meet with us, you will see that we offer quite a personalized approach to planning for and through your retirement years. 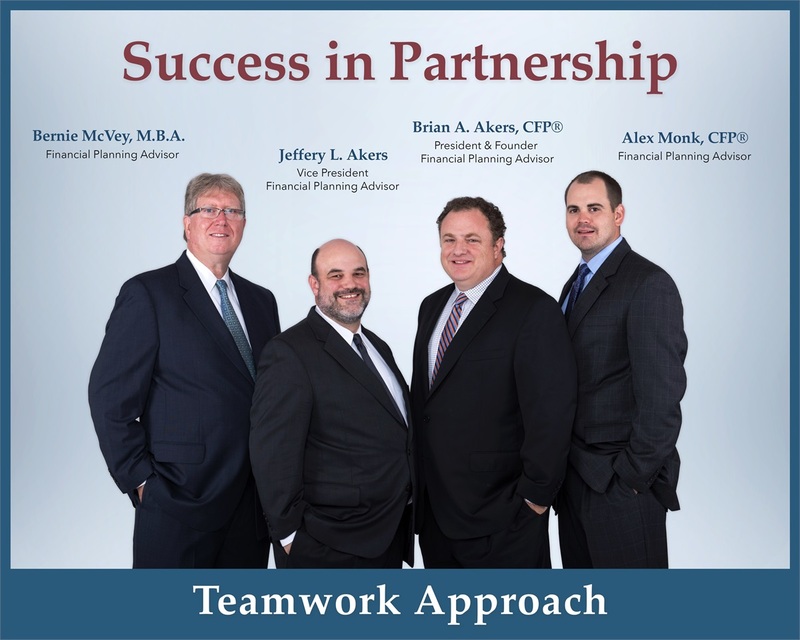 Akers Financial Group was founded on the principles of integrity, trust, and service. We believe each and every client is unique and deserves advice and implementations that apply directly towards their personal financial fingerprint. This financial fingerprint tells us the objective, risk tolerance, and purpose of the investment and insurance tools that we use to assist our clients in reaching their goals. By discovering the purpose and objectives of each financial decision, we can help you accomplish your goals. Intelligent financial design starts with a detailed description of your positions and goals. This leads to the financial design that will allow you to reach your goals with your risk tolerance in mind. Our relationships begin with an initial consultation and grows with each meeting. We would be thrilled to work with you and begin your planning process.